POKHARA, June 13: The number of self-drive tourists in Pokhara is on the rise in recent months. Self-drive tourists from India, who are in Pokhara to avoid a scorching summer, are providing good business in this off-season, local hoteliers say. Hari Sharma, a director of Pokhara Village Resort, Lakeside, says almost all the guests at his hotel are Indian nationals. "Most of them have come to Nepal in their vehicles. 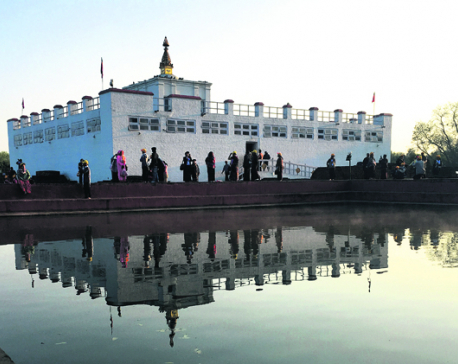 Indians living in bordering towns know that Pokhara can be reached after a drive of few hours from Sunauli border," he said, adding: "The number of Indian tourists coming with family members and friends is on the rise." Local hoteliers say tourist arrivals from India, which was affected significantly after the 2015 earthquakes and blockade, is improving in recent months. Most of the self-drive tourists hail from Indian towns like Lucknow, Kanpur, Varanasi and Ahmedabad as well as New Delhi, they say. "While returning from Lumbini two days ago, I found 67 Indian vehicles returning back from Pokhara. This is very encouraging," he added. Self-drive Indian tourists are coming to Pokhara via Siddhartha Highway. They enter Nepal from the Sunauli border and then drive through Butwal, Palpa and Syanjga before reaching Pokhara. More than two dozen private Indian vehicles arrived in Pokhara in the past two days alone. 'Chaliye Pokhara' campaign, which is organized by Paschimanchal Hotel Association, Pokhara, in different Indian cities, has played a good role in increasing the number of tourists to Pokhara, added Sharma. The association has been organizing 'Chaliye Pokhara' campaign in bordering Indian towns for past four years. Sharma, who is also a former president of the association said: "Our campaign has left a positive impact on Indians. During the campaign, many Indians asked us whether they can bring their vehicles to Pokhara." Dharma Raj Panthi, a director of Hotel Asia, also said that the number of self-drive tourists from India has increased considerably in recent weeks. "Most of these tourists spend a day or two in Pokhara and return back. Only the religious tourists to go Muktinath and Kathmandu," he added. Indian national Rajendra Thakur, who came to Pokhara with his friends in his own vehicle, said he thoroughly enjoyed his stay in Pokhara. "We three came in our own vehicle. We will stay here for eight days," he said, adding: "We first went to Kathmandu and came back to Pokhara." Bikal Tulachan, president of the association, said that number of Indian tourists coming with family has increased this year. "Tourists from bordering towns like Gorakhpur, Lucknow, Patna, Bihar, Varanasi, and Sitamadhi are coming in their own vehicles. 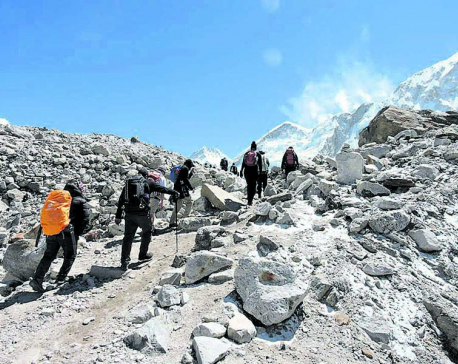 Though this happens to be the season for Muktinath pilgrimage, youths are coming here in large numbers to avoid high temperature in India," he added.